Music based drama Whiplash and the documentary Rich Hill were the night’s biggest winners at the 2014 Sundance Film Festival. The festival’s opening night movie was Whiplash, a film about a struggling jazz drummer who pursues musical perfection to an obsessive degree. It won over the audience and the panel, taking both grand jury and audience award in the US drama competition. 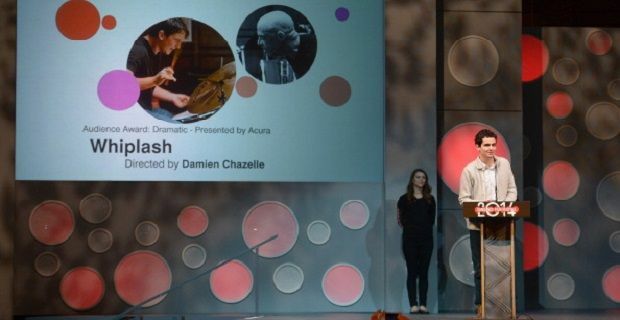 The awards validated director Damien Chazelle’s decision to take Whiplash from a short movie that won the US fiction short film grand jury award at last year’s festival, and make it into a full length feature film for this year’s event. The 28 year old filmmaker said: “I remember my first time here was with a short, and the whole reason we made a short was because of my experiences as a drummer. No one wanted to finance the film because no one wants to make a film about a jazz drummer, surprising," he added. Due to the film’s success at the awards and the buzz that has surrounded it for a while now, Sony Pictures have agreed to distribute the film. Their $3million deal for Whiplash follows other similar deals that have led Sundance winners like 2010's Winter's Bone and 2012's Beasts of the Southern Wild to mainstream distribution. Both movies won the grand jury prize and went onto Oscar recognition.